A teenager was arrested after a boy was assaulted and racially abused by a group of youths in a park in Banbury. At around 6.30pm on Thursday, March, 28, the 15-year-old victim was walking alone through Hardwick Park when he was attacked by a group of three youths. He was punched in the face, hit on the head with a wooden pole and subjected to racial abuse and threats to kill. As he ran away the offenders chased him with a knife. The victim suffered a nose bleed but did not require hospital treatment. 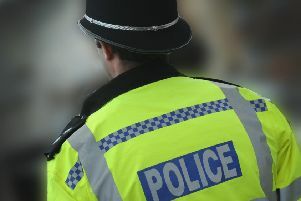 A 14-year-old boy from Banbury was arrested on suspicion of racially aggravated harassment, possession of a bladed article and racially aggravated threats to kill. He was bailed to appear at Banbury police station on April 16. Investigating officer, PC Gabbey-Cristofini, based at Banbury police station said: “This was an extremely frightening experience for the victim. I would urge anyone who witnessed this to please come forward. “In particular I would like to hear from a woman who was walking a dog in Hardwick Park at the time of the incident, as she may information vital to our investigation. “If anyone has any information about this incident they can report the details on the Thames Valley Police website quoting reference 43190094915.